By the time I was enjoying my next meal, I was having flashbacks to the many strange habits my beautiful grandmother tried to push on me – but never quite succeeded. At the time, I assumed it was out-dated nonsense, but I have come to learn there is an ancient authority in the way that our grandparents allow their “gut instinct” to lead the way. Sometimes we just need an unfamiliar face to remind us that many of our modern mealtime habits are way off the mark! 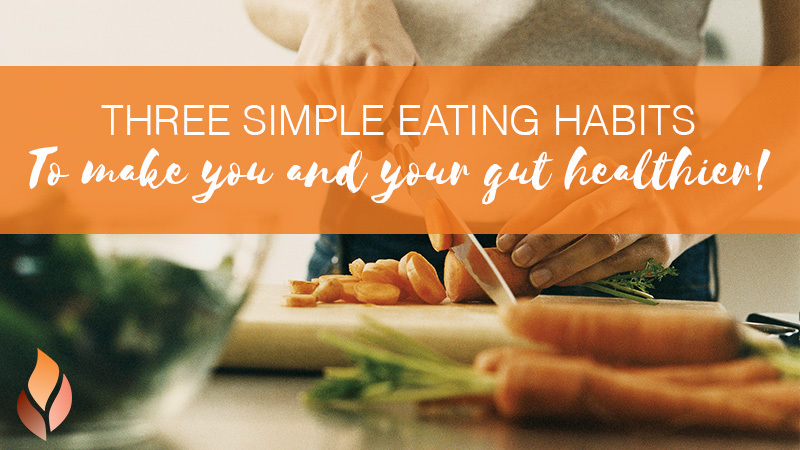 So here’s three simple tips for a healthier gut and life, from my grandmother to you. When it comes to mealtime, I’ll usually pick my beverage first and food group second. Which breakfast with go with my tea, which lunch will go with my juice, or which dinner will go with my wine? It turns out, mealtime is not the best time for us to be drinking. Not even water. Drinking with your meals dilutes your saliva and gastric juice, which help us to break down food. Filling your stomach with liquid will also slow down the process of digestion by leaving little room for any digestive action. If you’re eating a particularly dry meal, room temperature or warm water is your best bet. Cold water during meals hampers your digestive process by making your enzymes become inactive, allowing toxic waste to accumulate in your body. If you are particularly thirsty during your meal, it may just mean you are not consuming enough water and liquids outside of mealtime. So try to form a habit of drinking between meals to stay hydrated and form a more accurate appetite. The goal of Ayurvedic nutrition is simple – eat a well balanced diet to create a productive digestive track known as “Agni”. The key behind Ayurvedic eating habits is to keep your digestive fire alive. When it comes to meal time, try to stick to three or less different food groups on your plate, so as not to overload your stomach and put out your agni. Every ingredient demands separate enzymes and attention from the gut. With simpler food combinations our body can focus on each ingredient without too much multi-tasking. Different food groups also take different times to digest, so try to be conscious of your combinations. If your meal contains fruit and vegetables, or dairy and meat, you might create a bit of a food jam in your gut. Foods such as fruit are ready for a quick digestion, however, if you are mixing this with dairy such as yogurt, which takes a lot longer to digest, both foods have to wait around. In the meantime your gut gets into a bit of a rut, which is more commonly known as gas, toxins and indigestion. My grandmother was all about staying warm. Even in the middle of summer, she wouldn’t let me leave the house without a coat – just in case! To say iced drinks or foods was a taboo at my grandmother’s house is not an exaggeration. It was one of the very few rules she had.. All of our drinks were served at room temperature, and ice-cream was reserved for only very, very special occasions. I put this down to her Russian ancestry, and that people who grew up in colder climates didn’t understand the joy of a cold, crisp beverage. The truth is cold or ice water, as well as foods, literally douse out your digestive fire. Warm foods allow your meals to digest and assimilate, while cold food literally suppress digestion. Something as small as switching cold milk in the morning on your cereal to warm milk, or switching to porridge can make a big difference to your digestive fire. It is even more important in winter, when your agni is naturally cooler, to stick to warming foods. In summer, when your agni is ignited by the season, you can enjoy a slightly cooler diet. If you are looking for a new winter meal to warm you up – try out Borsht. A traditional russian recipe which my grandmother often served us for breakfast, but is usually served for dinner, is sure to set your agni alight!